Use your email signature to promote your specialities. 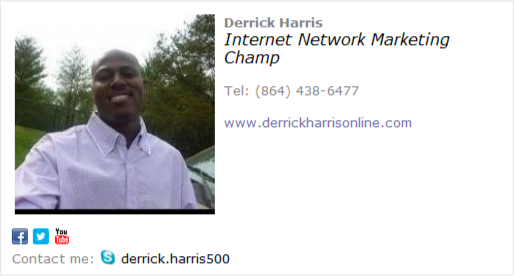 Internet Network Marketer? Use every email you send to promote your voice and increase your marketing network. Incorporate social icons, your website and personal details and watch as your website traffic grows!